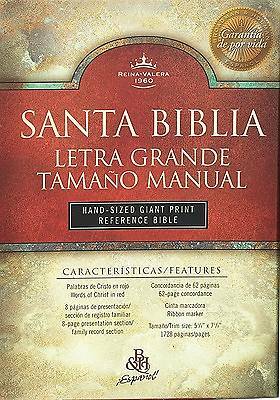 With its slender size, this Bible displays a beautifully clear and readable text, and readers will enjoy the versatility of the special reference system. Features include: words of Christ inred, 8-page family record/presentation section, 62-page concordance, and ribbon marker. Con su delicado tamano de 5"" x 7,"" esta Biblia revela un texto claro y legible, los lectores disfrutaran de la versatilidad de su sistema especial de referencias.